The main event opened with a banquet on Wednesday evening, featuring music from the Holy Trinity Cathedral orchestra and the bell choir from Saint Vincent Centre for Handicapped Children. Thursday began with an address from the Rt. Rev. 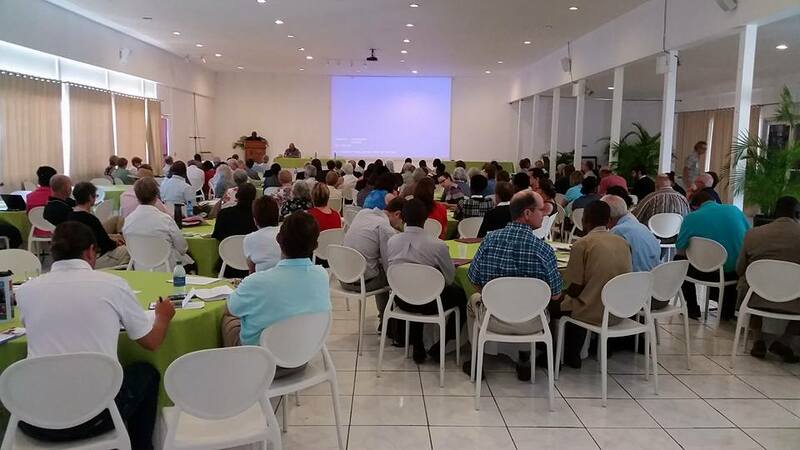 Jean-Zaché Duracin (Bishop of the Episcopal Diocese of Haiti), followed by Snapshot Sessions from over 20 programs working in the areas of health care, education, and community development. Afternoon sessions included a presentation entitled “Successful Partnerships/Moving toward Sustainability,” and focus groups addressing health care, teacher training, construction and community development. Friday morning focused on the practical matters of doing mission in Haiti and included a panel discussion and Q & A session. The conference concluded with a community Eucharist featuring spectacular music by the choir of Holy Trinity Cathedral. Pre-conference trips traveled to Cap Haïtien and the North, the Central Plateau, and Les Cayes and the South. 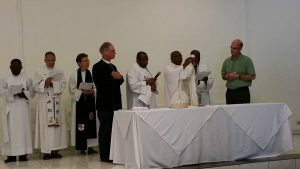 A downtown tour was also offered so participants could visit Holy Trinity Cathedral, Haiti Episcopal University, the diocesan seminary, Saint Vincent’s, and the National Museum of Haiti. A special moment during the conference came when Bishop Duracin recognized he Rev. 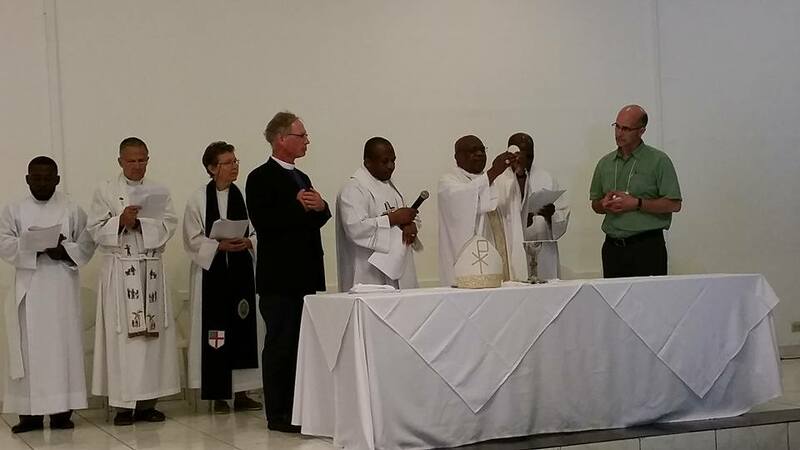 Canon Bill Squire and his wife Margaret for their long and deep commitment to Haiti. 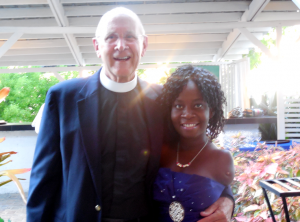 Following his retirement as Canon to the Ordinary in the Diocese of East Tennessee, Bill became a missionary to Haiti for three years, helping to develop the Partnership Program and traveling throughout the country in support of its many missions. He was later named interim director of Saint Vincent Centre for Handicapped Children, and also served as president of the Children’s Medical Mission of Haiti for several years. During their time in Haiti, Margaret taught art at St. Vincent’s and worked on various projects throughout the diocese. Thanks to everyone who made this conference such a huge success! 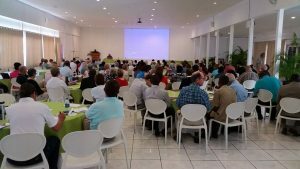 The next Haiti Connection Conference is tentatively scheduled for 2018. Please keep checking this site for information and updates from the conference planning team.